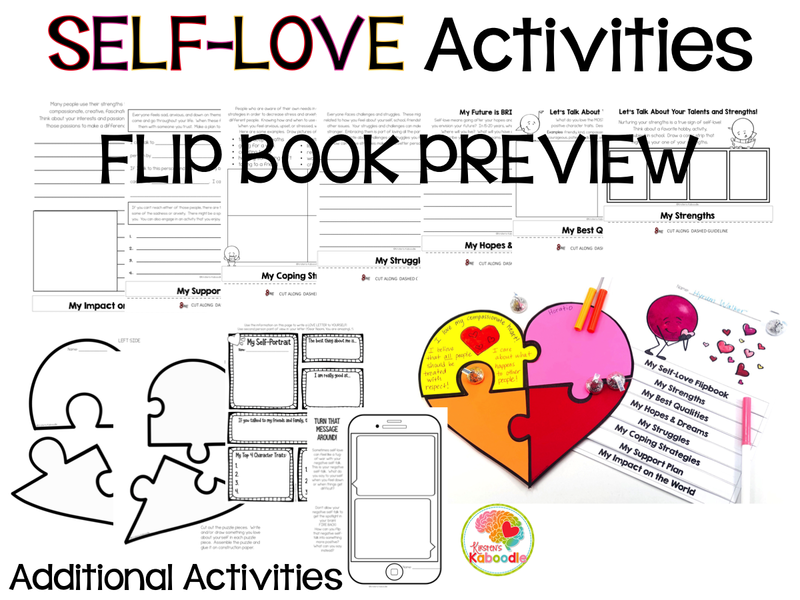 This file contains activities to help students reflect on and identify the ways they love themselves. 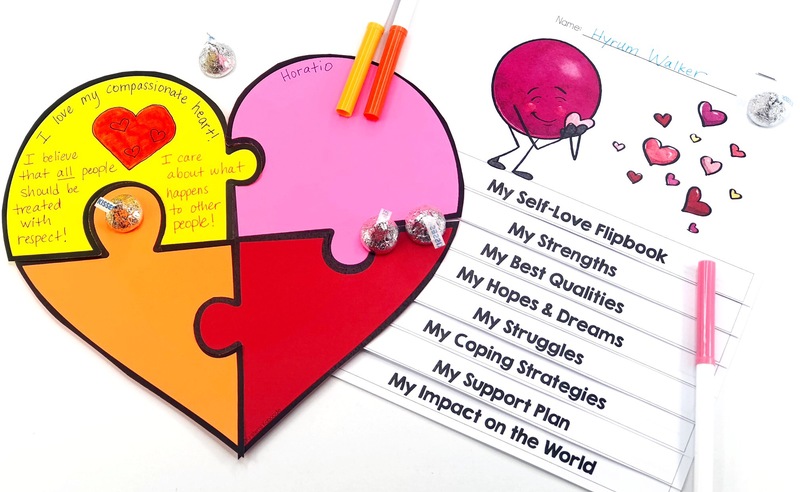 It contains a flip book, self-love heart puzzle, graphic organizer, a love letter to yourself, and an activity to help students identify and reframe negative self-talk into positive self-talk. 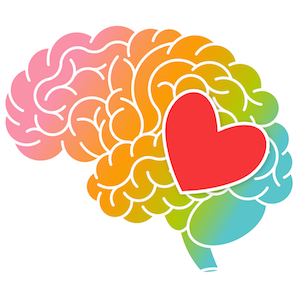 Self-love can be complicated by experiences, emotions, and a child’s own worldview based on their history. 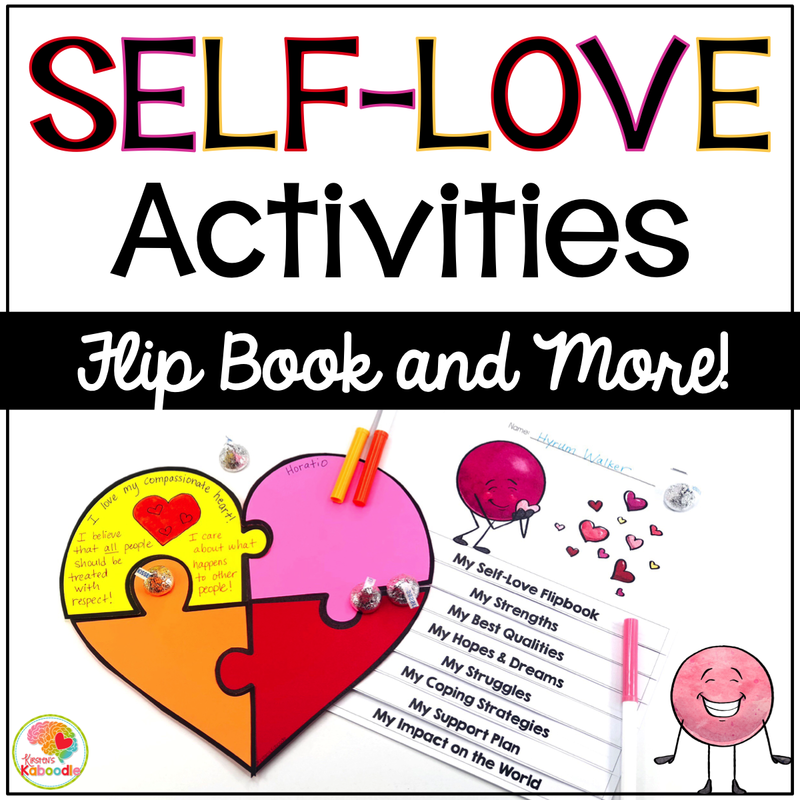 This activity pack won’t magically force a child to love himself/herself, but it will highlight a child’s strengths and provide them with insights. When you are providing guidance and instruction on social-emotional topics, it is important to be aware of your students’ reactions to each activity. If you notice any students who exhibit signs of distress, it is important to address those reactions. In some cases, it might be beneficial to refer a student to the school counselor or school psychologist. This file contains 17 pages.